For those keen on the piano duo repertoire (both duet and two-piano) – and it’s hard not to be! – these forthcoming concerts are sure to be a pre-Christmas highlight. Contemporary works and lesser known gems sit alongside traditional favourites, and all three concerts feature Italian pianists, Duo Feola. The programmes include works by C. Debussy, R. Hahn, P. A. Grainger, A. Casella, I. Stravinsky, L. Durey and C. Norton. 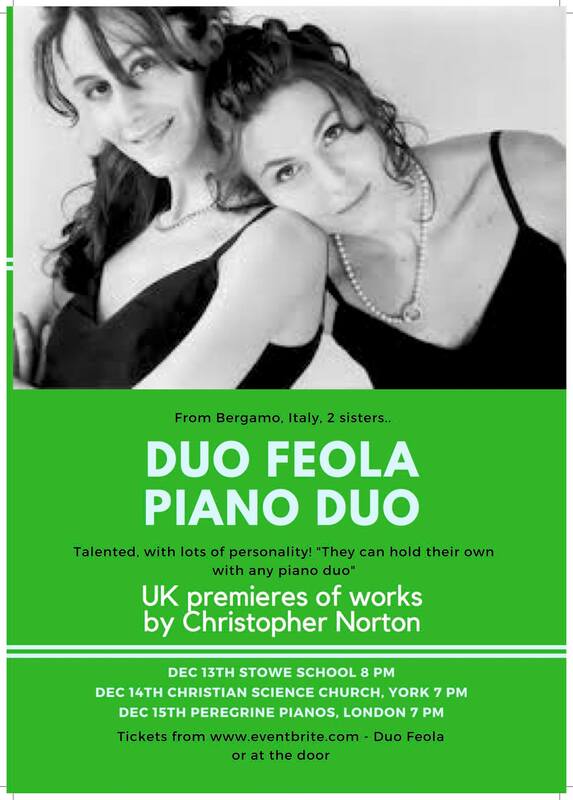 The concert at Stowe School on December 13th 2017 (in Buckinghamshire) will be a two-piano concert, whereas those at the Christian Science Church on December 14th (in York, North of the UK), and at Peregrine’s Pianos on December 15th (in London), will focus on piano duet repertoire. Duo Feola are a piano duo from Bergamo. Sisters Nicoletta and Angela Feola, have been performing together since they were small, and studied at Conservatorio “Giuseppe Verdi” in Milan, continuing their studies at Salzburg’s Mozarteum with Alfons Kontarsky and at Trinity College, London, completing a Masters in Advanced Recital Piano Duet. They have played for concerts and festivals all over Europe, and have recently recorded a CD featuring the music of Hindemith for the label Art Voice. They have also been featured on radio and television broadcasts in Italy, Germany and Poland. Duo Feola’s repertoire is large, ranging from Bach to contemporary music. A number of composers – Matteo Segafreddo, Irlando Danieli, Angelo Paccagnini and Goffredo Haus have written music dedicated to them. 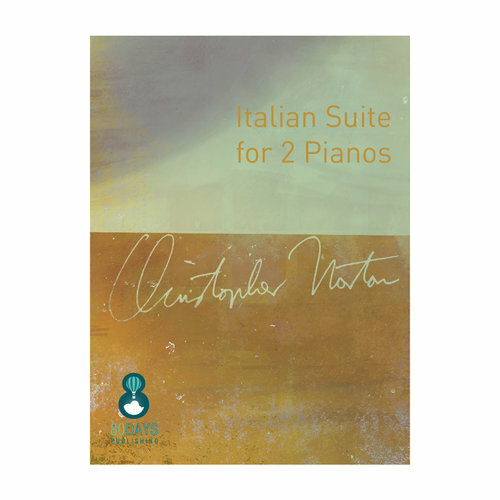 Most recently, Christopher Norton, the renowned composer of Microjazz, has written an Italian Suite for 2 Pianos for Duo Feola and it will receive its UK premiere, along with a new Anatolian-Portuguese Suite for 2 Pianos, also written by Norton (both published by 80dayspublishing, Christopher’s own publishing company). The composer will also play (at all three concerts) some of his more popular works, particularly those on examination board syllabuses.